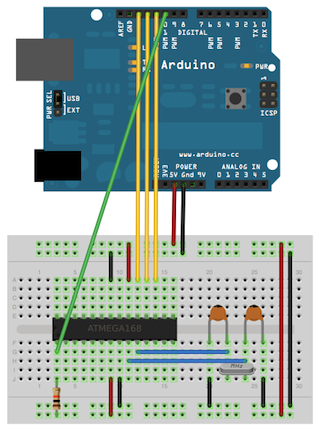 I'm trying to create an Arduino Uno following the circuit described in the diagram below which I'd based from here. I'd tried this circuit on an Atmega328 PDIP version (with the correct connections since the PDIP has different pinouts from this TQFP) and I was successful in creating and using my own Arduino. However, when I've used the TQFP version and had this circuit layout and printed on a pcb, I can't burn the bootloader using an Arduino UNO. I've double checked the pinouts from the Atmega328P datasheet and they are correct. Using a tester, I've also verified that the connections are there. By the way, I've used the following connections. I've also burned the ArduinoISP program on th Arduino UNO, selected Arduino as ISP and chosen Arduino UNO as board. When I press 'Burn Bootloader', I'm getting this error message. I've looked at different forums and they are only saying to check the connections which I'd already checked that there is. Unfortunately These were the only outcomes to ever come for me when I encountered that particular error. If bootloader is burned with arduino uno in atmega328 then code will be uploaded for once and run correctly but next time you tried to burn code in atmega328 then code will not burn in atmega328. I also tried this way but it just work one time for me then I bought usbasp(price 1.5$) to burn bootloader permanently. after burning bootloader with usbasp then its works perfect for me. Just connect crystall with filtering capacitor thats enough to burn bootloader. above config is just in case you want to use it as MCU. The design is missing 0.1uF caps on VCC, AVCC, and Aref. Aref should not connect to 5V directly. 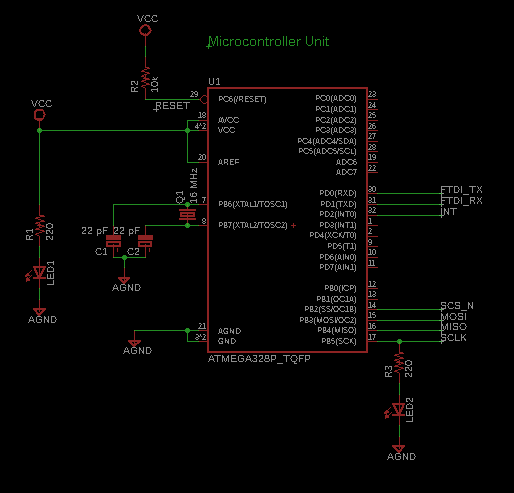 It is connected internally thru a mux and only needs the 0.1uF to Gnd. If Aref is direct connected and then the sketch selects the internal 1.1V reference, it can/will damage the chip. Change the 220 ohm resistor on D13/SCK to 1K. 220 ohm puts quite a load on the SCK line for a Programmer. 1K will result in a plenty bright LED. Do you have a 0.1uF between DTR of a Serial programmer and the Reset pin? A Programmer needs direct control of the Reset line, a Serial programmer (such as an FTDI Basic module) needs to go thru a cap so a Reset pulse is created.